ASL announced today that Jennifer Whelan has joined the firm to further develop and manage their growing portfolio of international clients and standards. 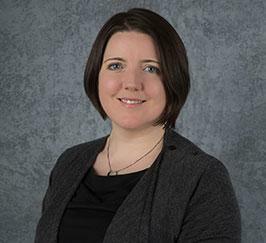 Jennifer joins ASL as a senior project manager of operations, working with colleagues in testing, licensing and joint venture partnerships. She will work to create efficiencies in the project pipeline, so that workflows are smooth and project timelines are reduced. Jennifer was an Irish diplomat for nine years, working in the Department of Foreign Affairs and Trade. She represented Ireland on postings to the Irish Embassies in China and Ethiopia. Jennifer brings to Allergy Standards her wide-ranging and in-depth experience in project management, policy and strategy, communications, and international relations. She has academic qualifications in statistics, international relations, and psychology. Allergy Standards Limited (ASL) is a physician led global certification company that prepares independent standards for testing a wide range of products to determine their suitability for asthmatics and individuals with associated allergies. ASL has devised a series of proprietary testing protocols and suitability specifications for products to meet to be eligible for certification as asthma & allergy friendly®™. ASL has developed the asthma & allergy friendly®™ mark to identify products that consumers can trust have been subject to rigorous testing to determine their relative suitability for people with asthma and allergies. We have applied internationally recognized asthma and allergy trigger avoidance recommendations including both allergens and irritants. Our management team possesses specialist skills in a variety of medical fields including asthma and other allergic diseases.